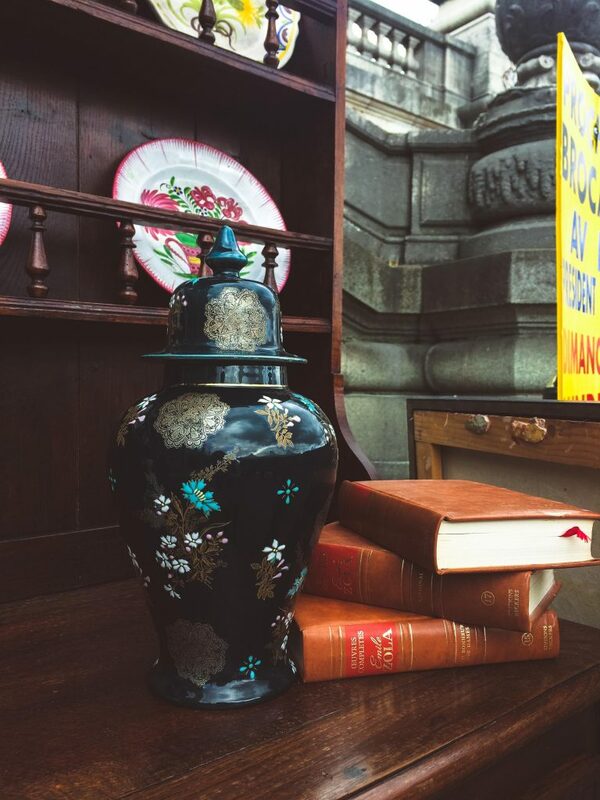 Who doesn’t get excited by the sight of vintage trinkets, old hard bound books and antique Chinese tea sets? 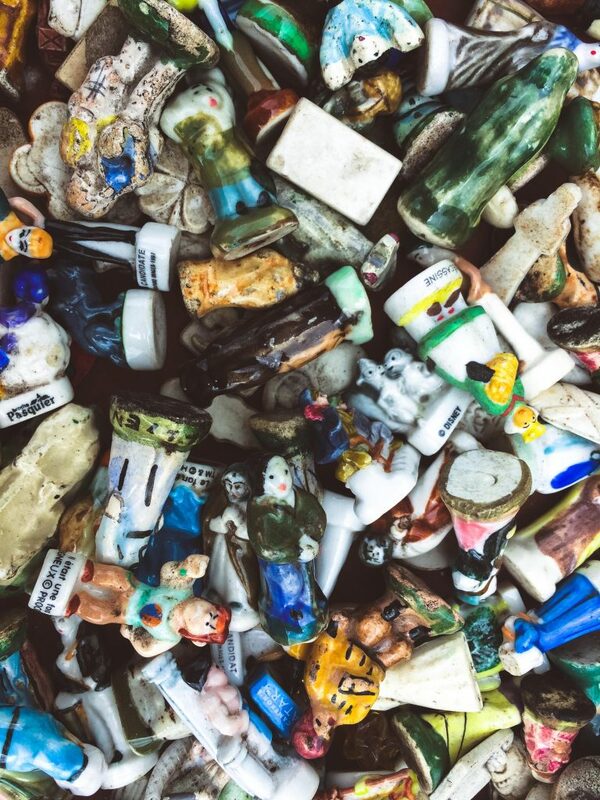 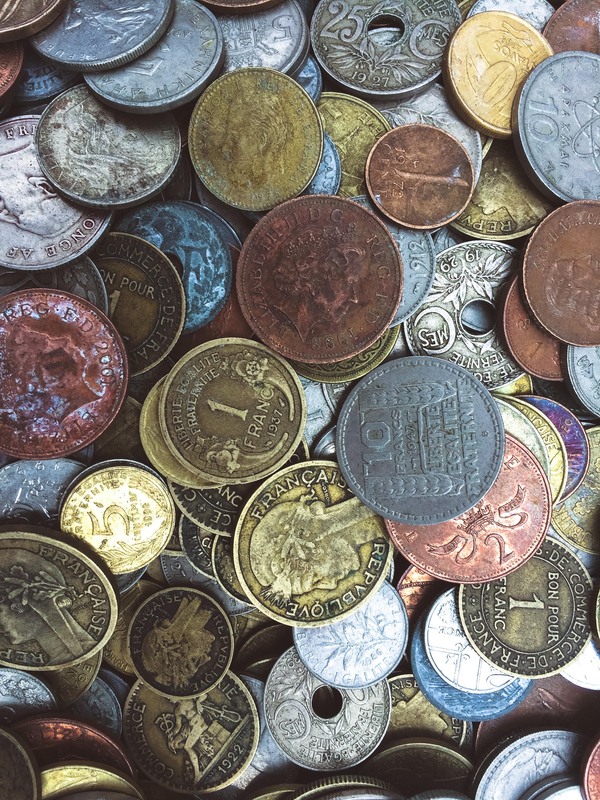 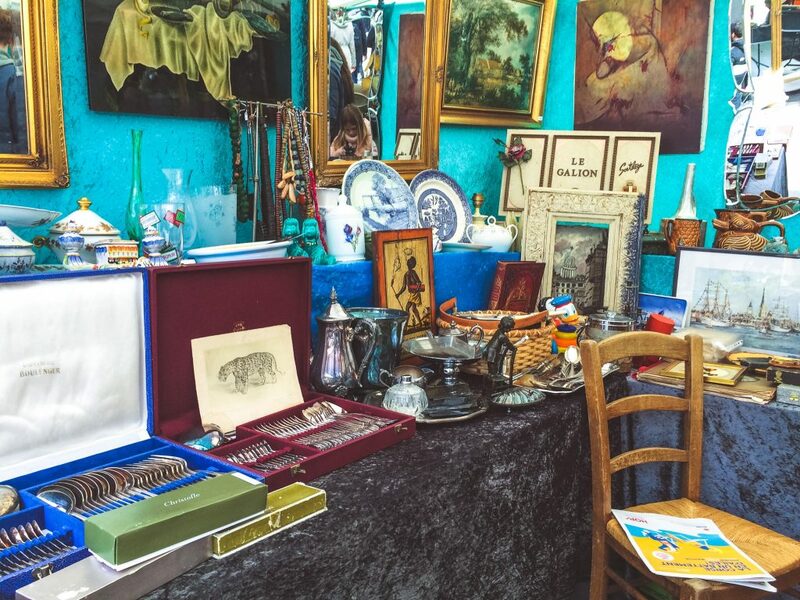 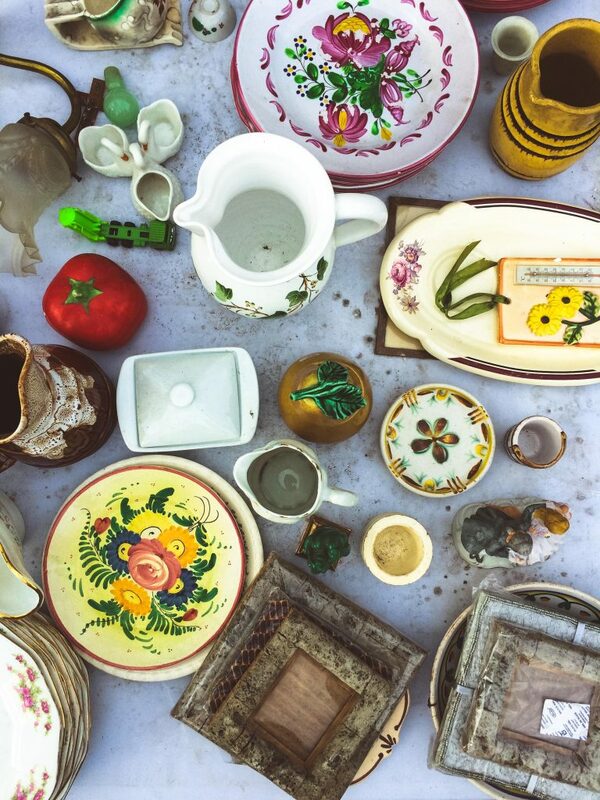 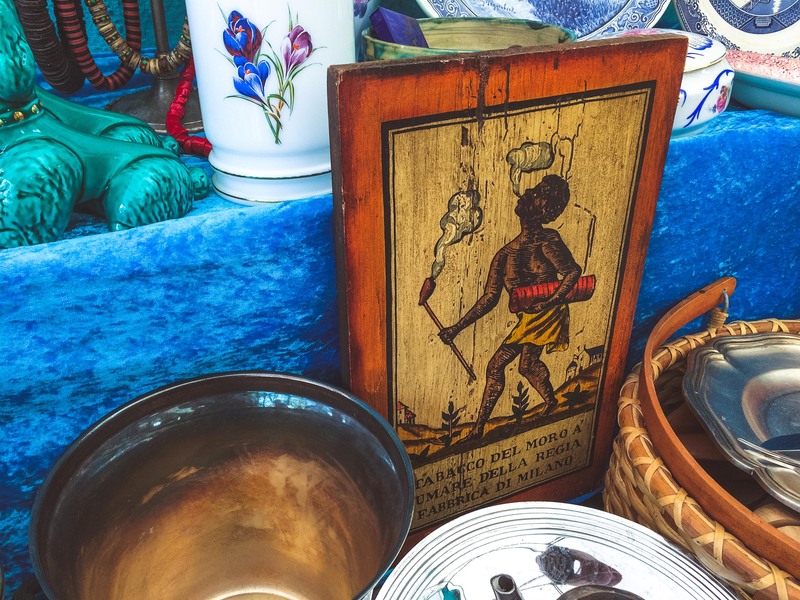 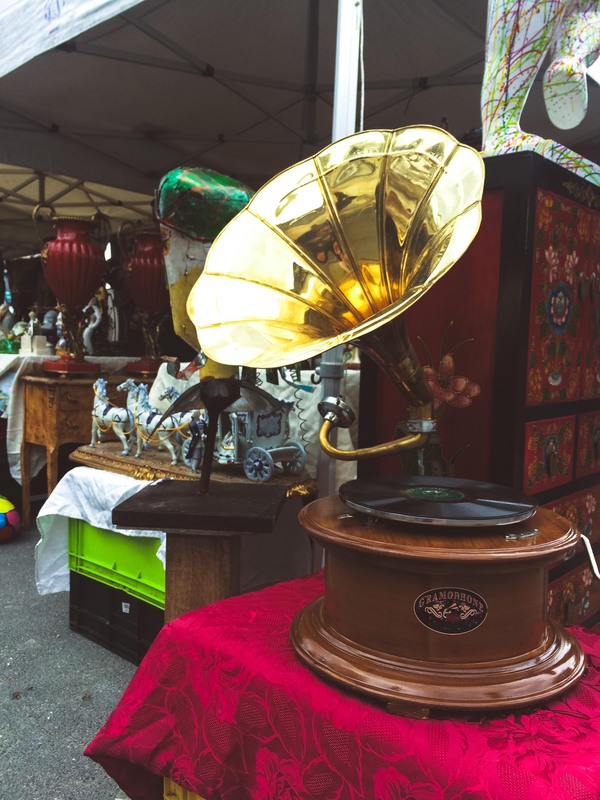 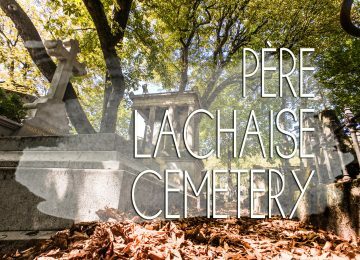 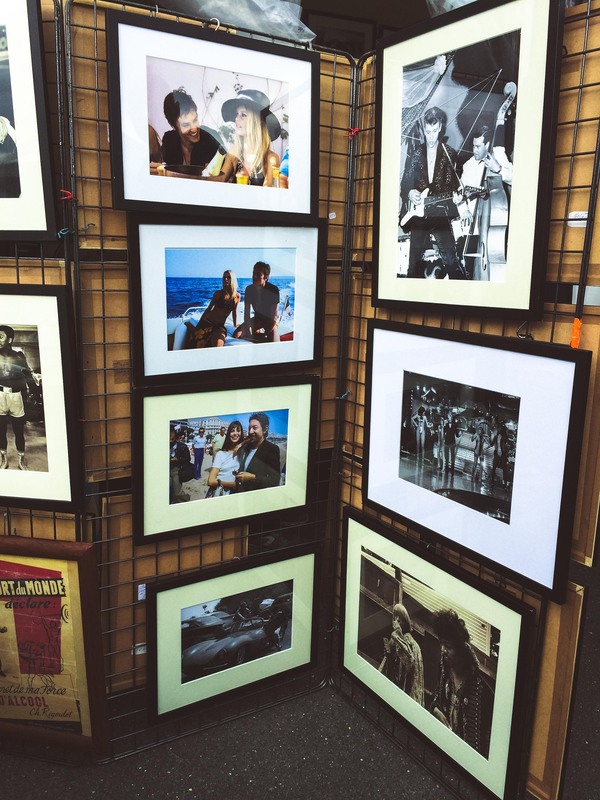 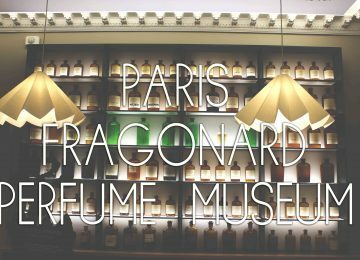 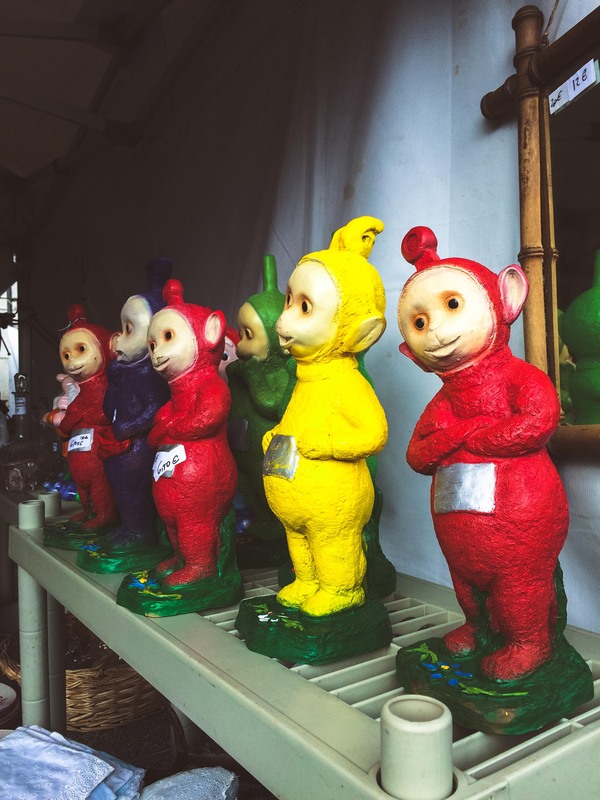 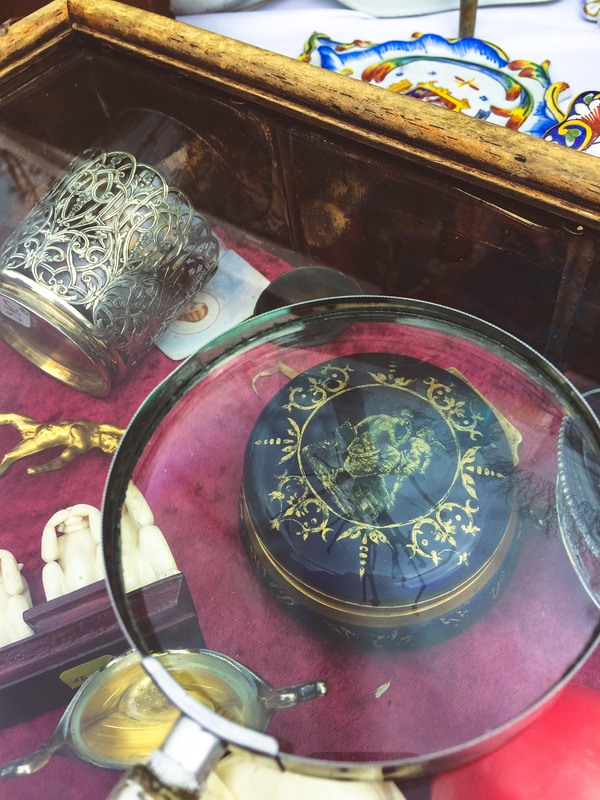 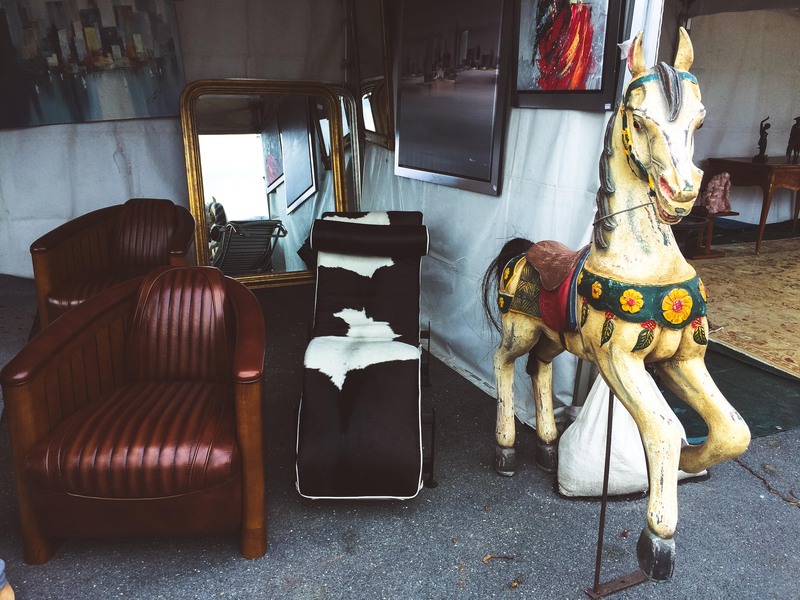 If you love discovering objets d’art or want to find a unique heirloom, you will enjoy the flea markets (brocantes) of Paris. Parisians and tourists alike can enjoy both permanent (like the largest flea market Les Puces de Saint-Ouen) and temporary brocantes such as this one in Pont Alexandre III with 100 merchants stationed along the quay. 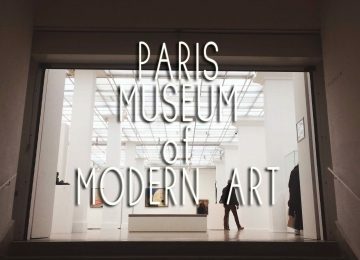 They’re open only until tomorrow, 2 April so go check it out! 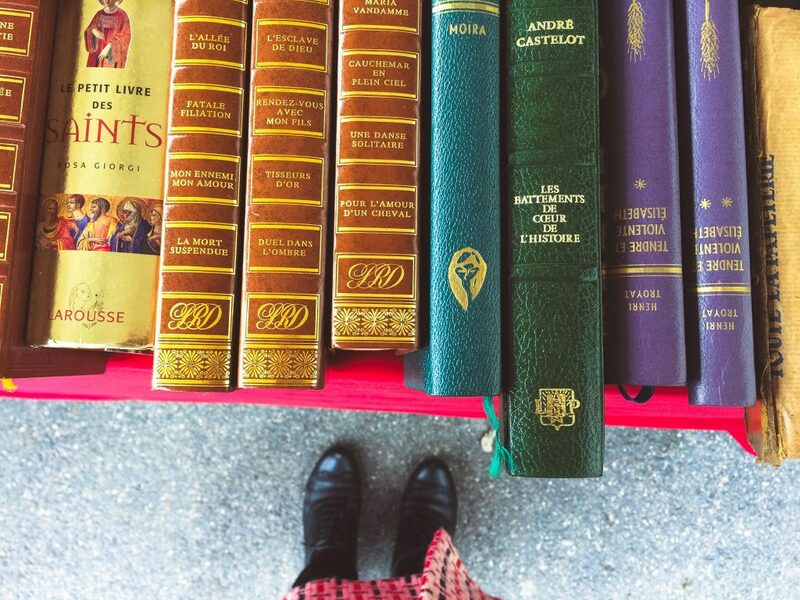 I spent the most time with the books, especially the old hard bound ones. Some are so old that they’re disintegrating and some so colourful that even someone who doesn’t understand french would want to buy it. 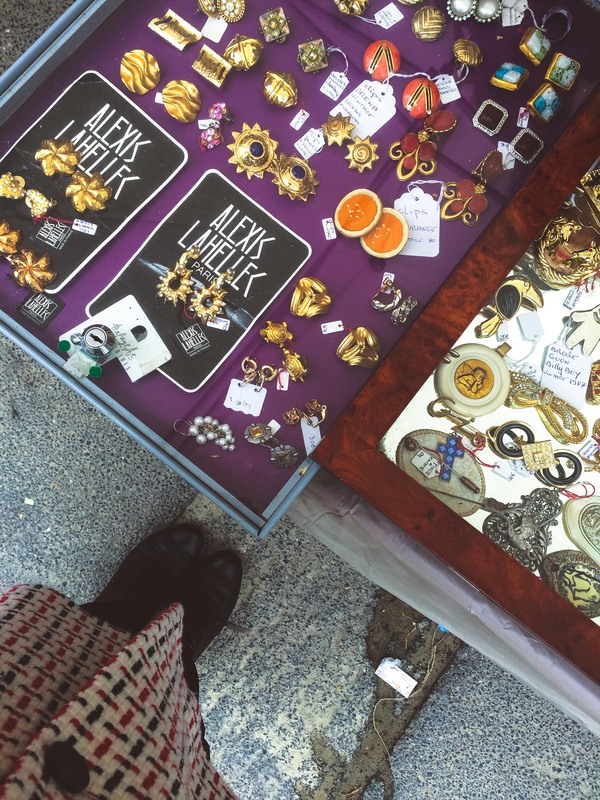 I also wanted to buy myself some jewelry but alas, I ended up with nothing because there are just so much to choose from! 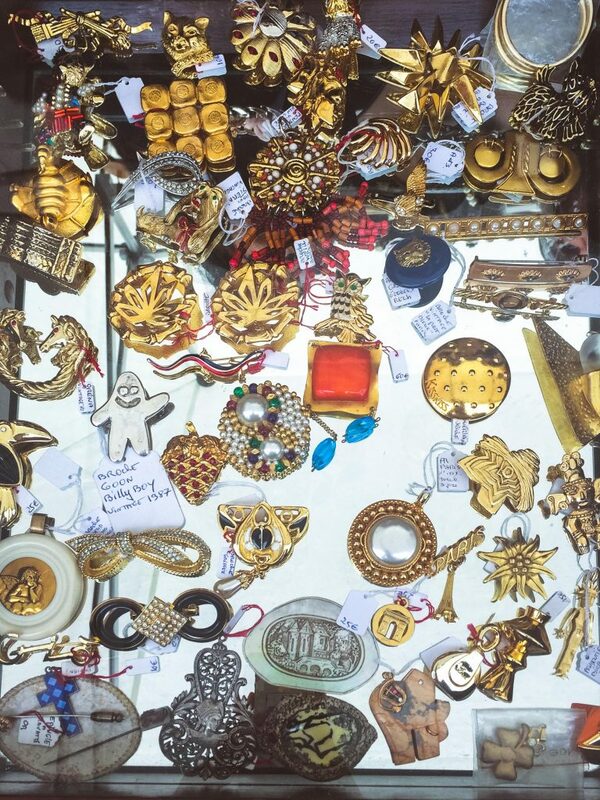 See if you can find the gold fox in the photo below (comment if you found it!). 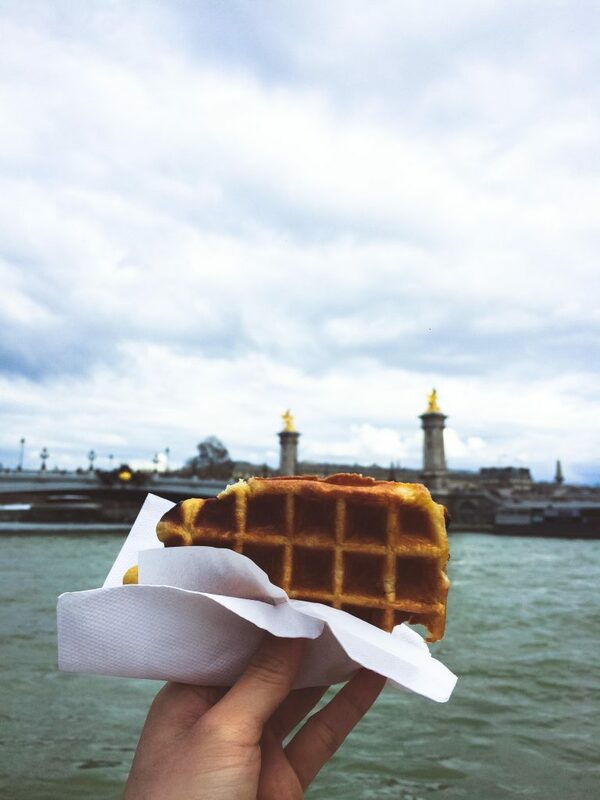 And if you get tired from all that walking or you’re feeling like you’ve developed a stiff neck from looking over all the stainless cutlery, your nose will eventually be seduced by the sweet and delicious smell of crepe or waffles. 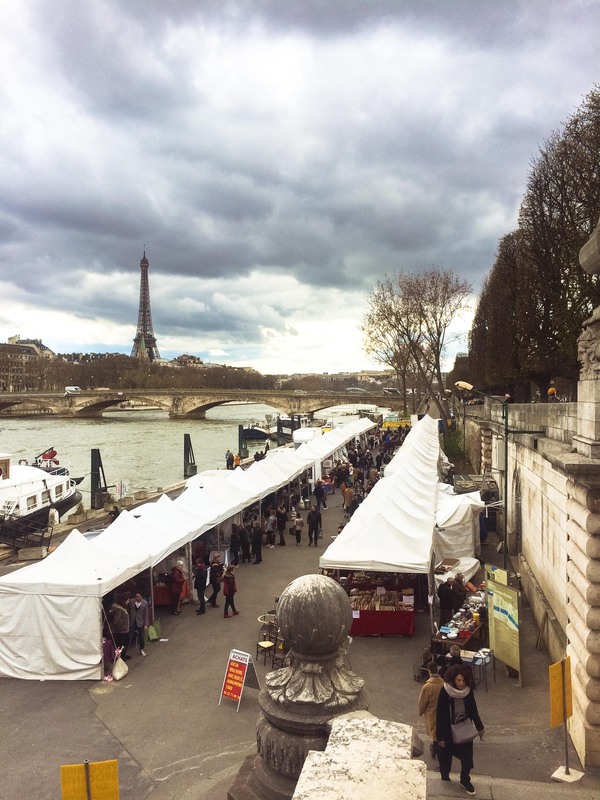 I was only able to eat one waffle when I was in Belgium, which they say is famous for them, but I tasted the best waffle I have ever had (so far) in this brocante! 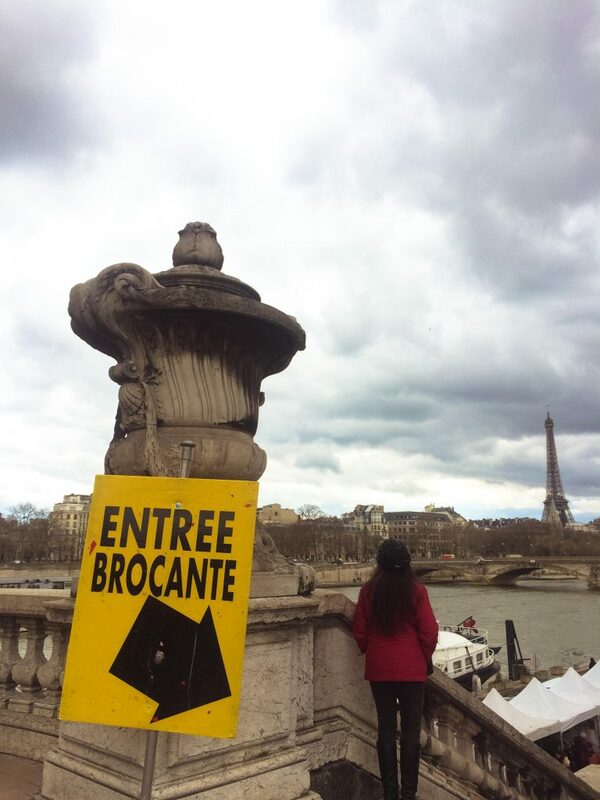 And the fact that you’re eating it at the edge of the Seine with the Eiffel Tower on the right and the Pont Alexandre III on the left just made the experience much better. 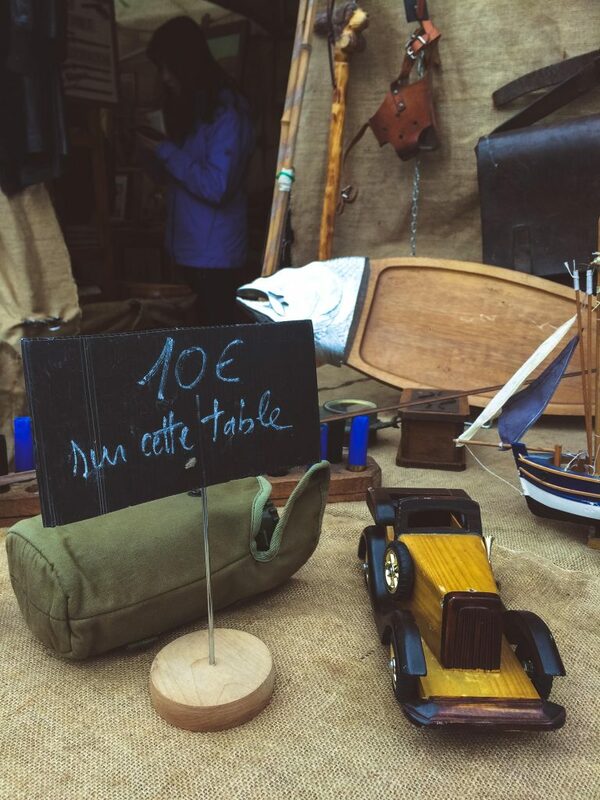 When you’re next in Paris or you’re in Paris and you haven’t gone to a flea market, I suggest you do. 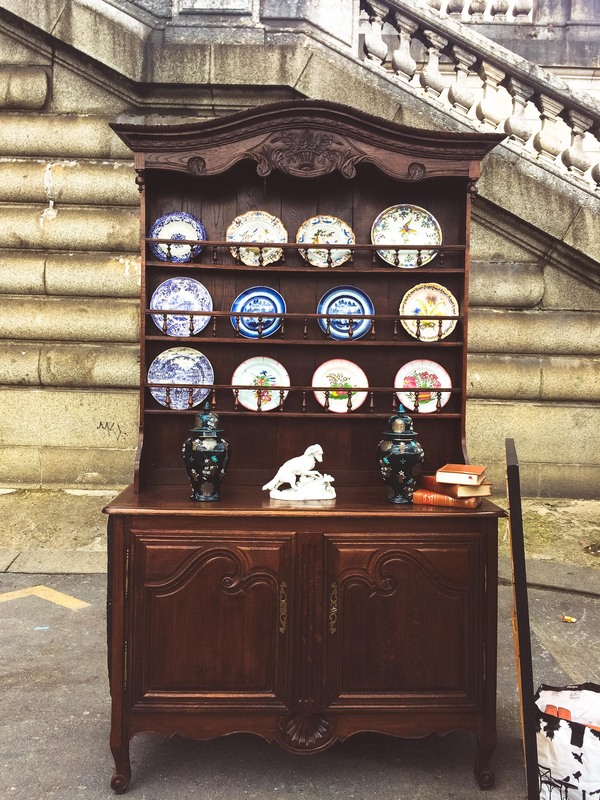 Sometimes it’s better to get second hand since you’re supporting a circular economy (ie minimising waste by reusing instead of always buying something new) and also you will always find something unique. 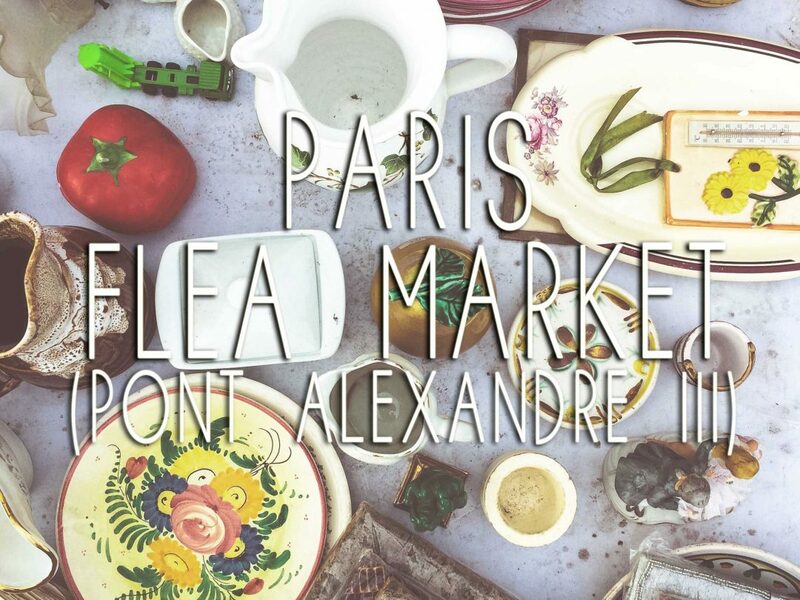 You can check out the website of Société Parisienne d’Animation et de Manifestation (yes, SPAM for short) for a schedule of upcoming temporary flea markets. 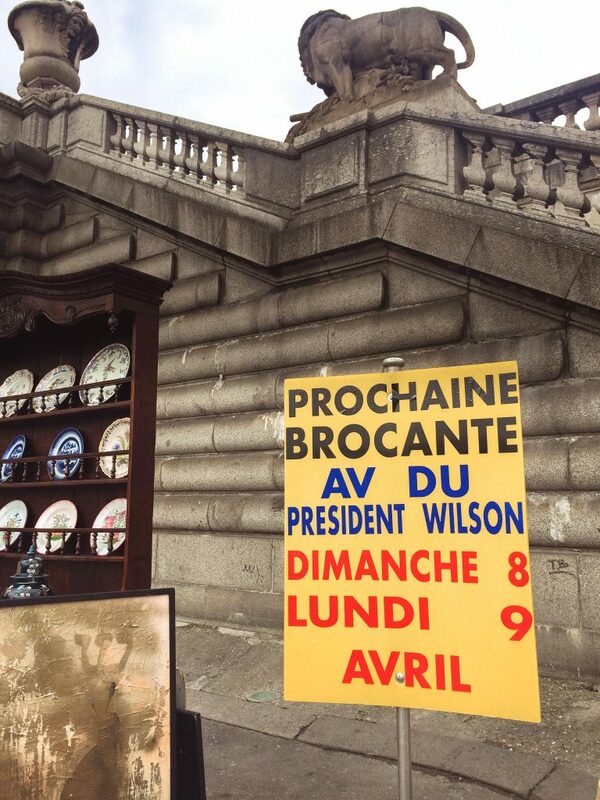 The next one will be at Avenue du President Wilson on 8 & 9 April 2018.